The number one reason why we all waste money is the failure to budget for it. Everyone falls short here. There are just times when you are too careless when it comes to buying, and then you remember that you don’t have enough, or no money at all when it is all gone into the pocket of someone else. Let’s be honest with our money by budgeting before spending. 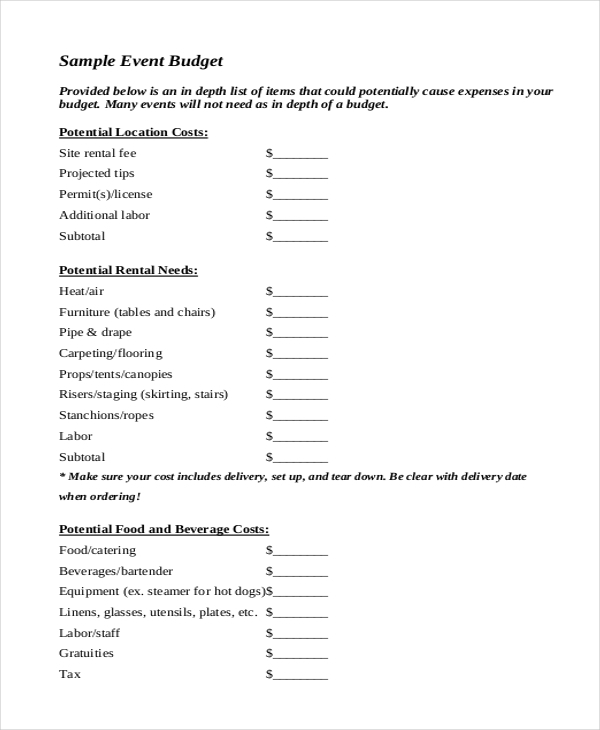 Here are sample forms that can help you create a good budget, a budget that will enable you to account for every dollar you spend. 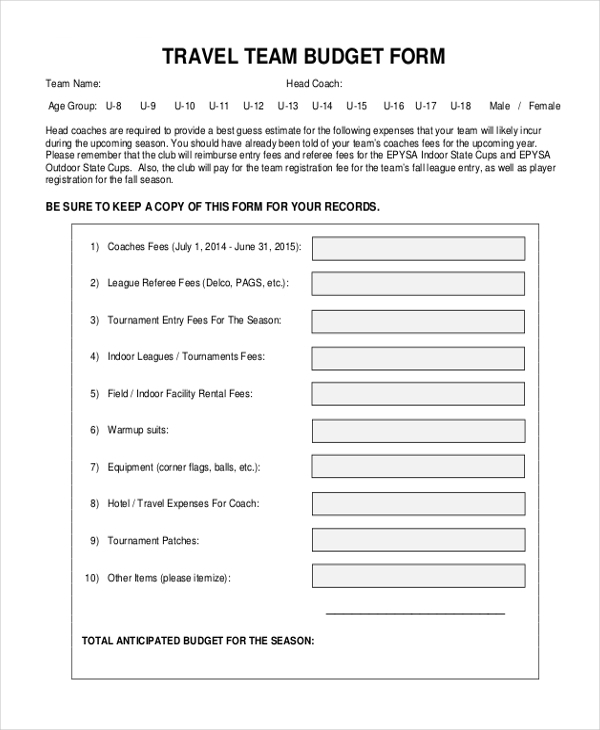 You may also see Budget Forms. 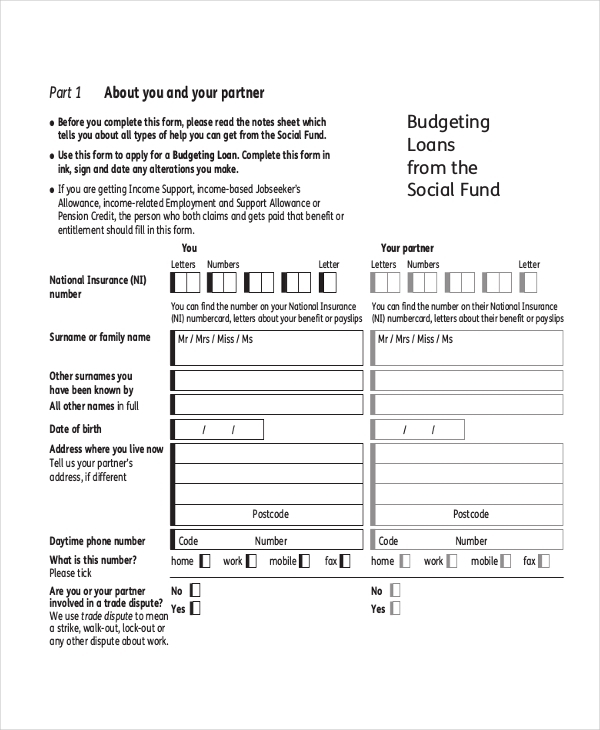 This form is perfect for budgeting for a borrowed loan for social projects. The sample file is available for free download, so you can save time by using it for planning and proper budgeting. If you are still in school, then you know how hard it can be to spend all your money on the go. As such, save yourself from financial disappointments while in school by using the following budget planner. You can also see Travel Expense Forms. Even if you earn a lot of money every month you still need to have a budget planner close. Here is the best solution that you can download for free and use to plan for your money. A monthly budget will save you a lot of money and disappointments. When you use this form to plan, what you are simply doing is putting your money to good use and saving enough for the future. Did you know that you could download and use this file for free? 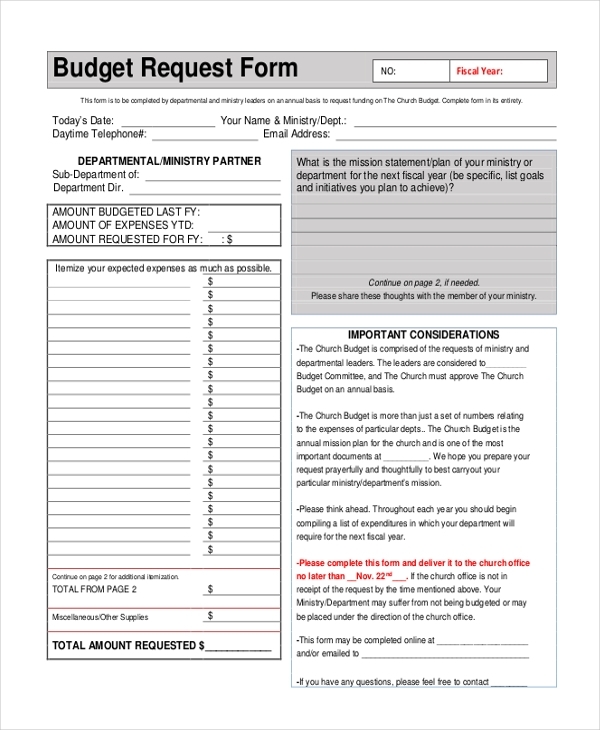 The budget form is also ready for print. That means you do not have to spend time making any changes to the design. So, how are you going to spend your loan now that you have the money? Well, plan for it. Here is a sample file that you can use to create a good plan for the money lent to you. 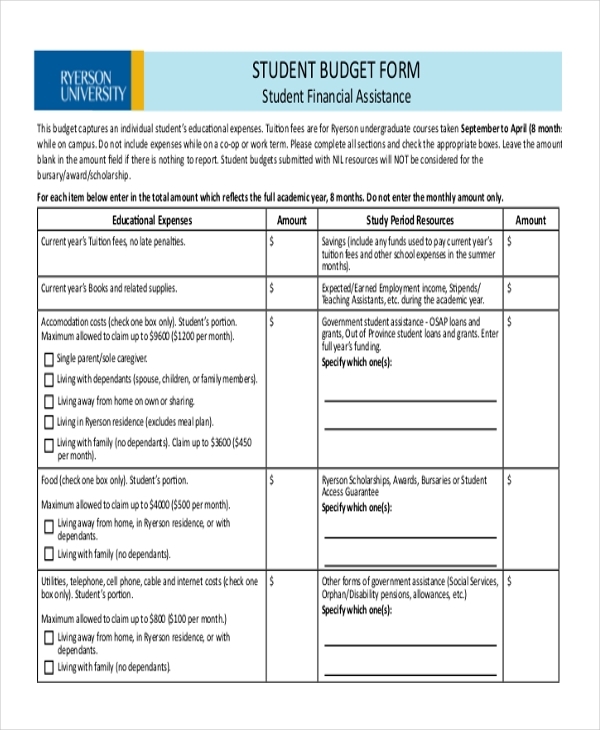 Are you looking for a form that you can use for easy budgeting? Here is a sample that you can download and use every, every week, or every month, depending on how frequent you budget. Whether you run a church as a business or as a place of worship, you need to make sure your budget is comprehensive. 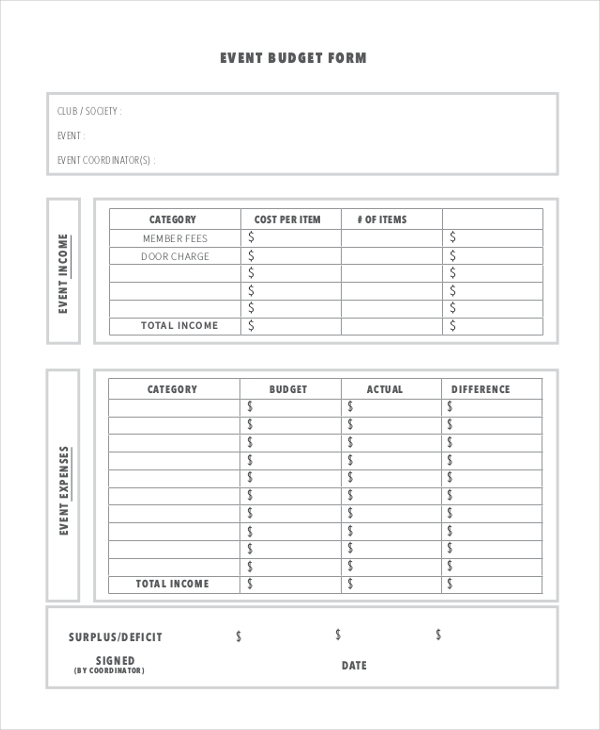 You can use this sample form for budget planning. 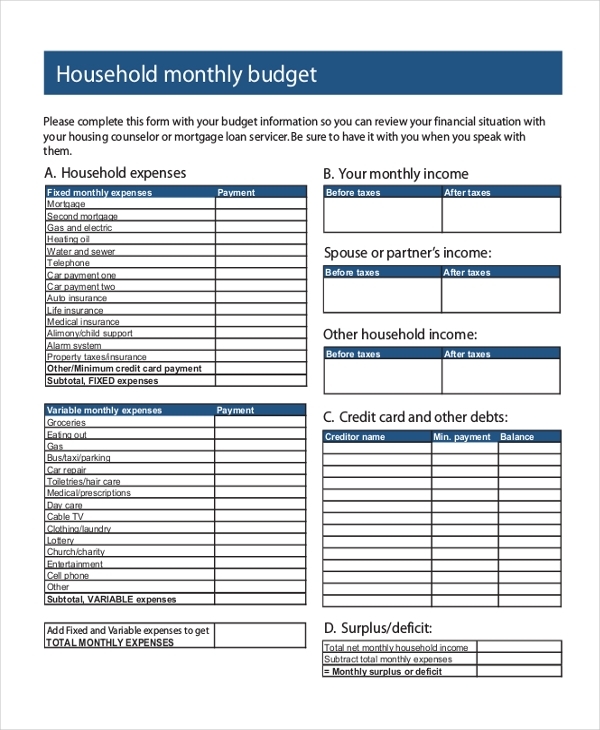 The beauty of this form is that it will help you to create a good budget for your home every month. 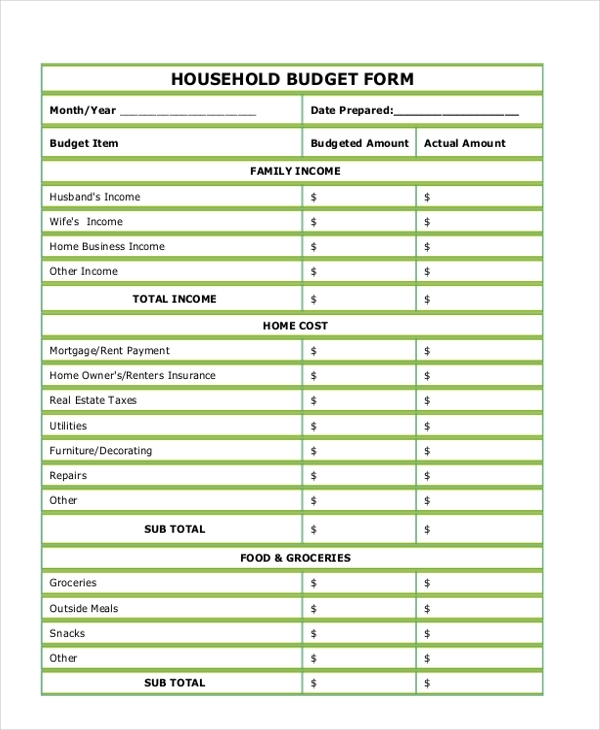 The budget form is the only document you need to make good use of your money. Do you know that you could download and use this file for free? 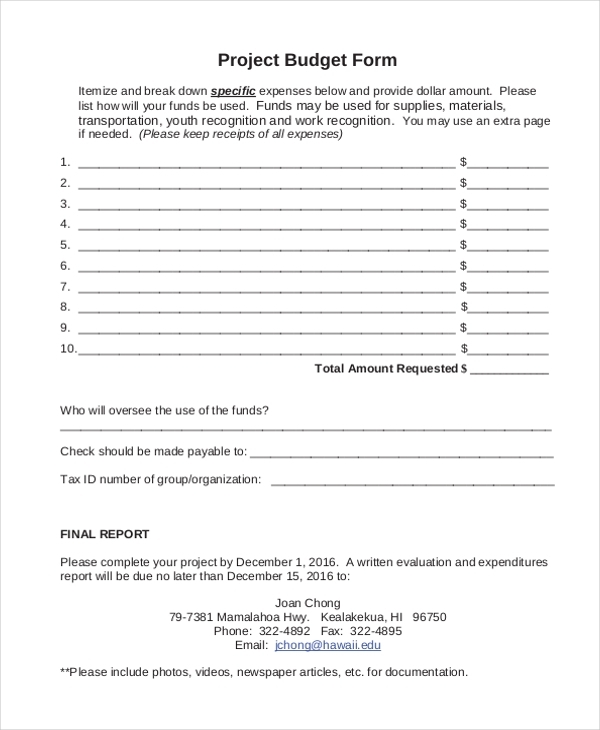 The budget form is also ready for print. That means you do not have to spend time making changes to the design. Why do You need to Keep a Budget? Determine how much money to spend for the next 30 days. Determine what to do buy and what not to buy before or after the end of the month. Create a list of the items that you must buy often and those that you will only buy once. 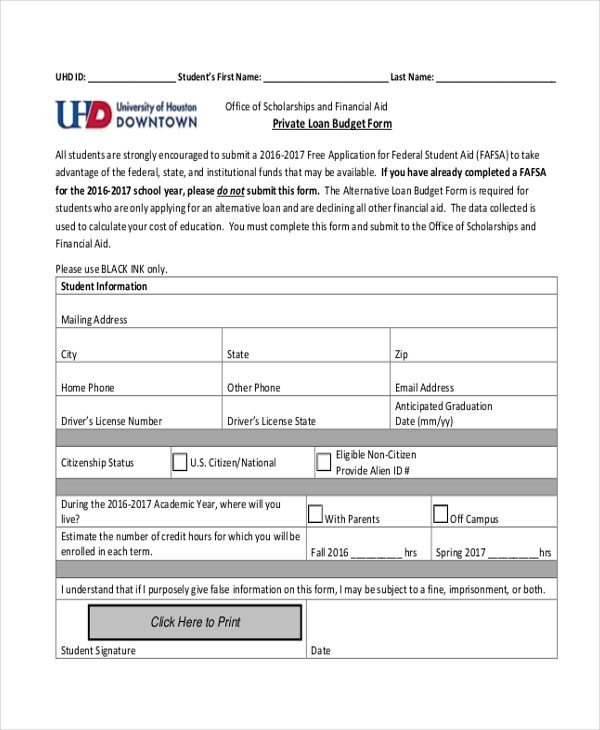 Why are Budget Forms Quite Significant? One of the lies about money that people continue to spread is that the more you spend the more you earn. If then this is the case, then you must have spent a lot of money without a budget plan. The only best way to get yourself off the hook of this lie is to begin thinking differently. Stop having “the more you spend the more you earn” mentality, and begin to embrace “the more you budget the less money you waste” policy. You may also see Business Expense Forms. These sample files have been designed to help you change the way you do your budgeting. So, use them to make proper financial decisions for every day of the month. At the end of the day, these files will help you spend your money the right way. You can also see Expense Report Forms.